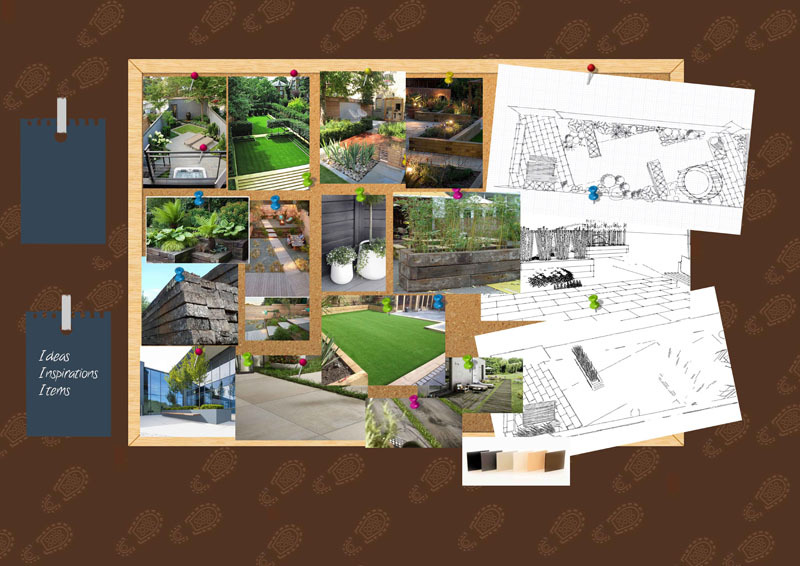 Michelle and Jonathan wanted to create the illusion of a bigger garden in London. They also wanted to extend their kitchen into the garden, so when the bifold doors opened, it’s the perfect space for summer evening entertaining. 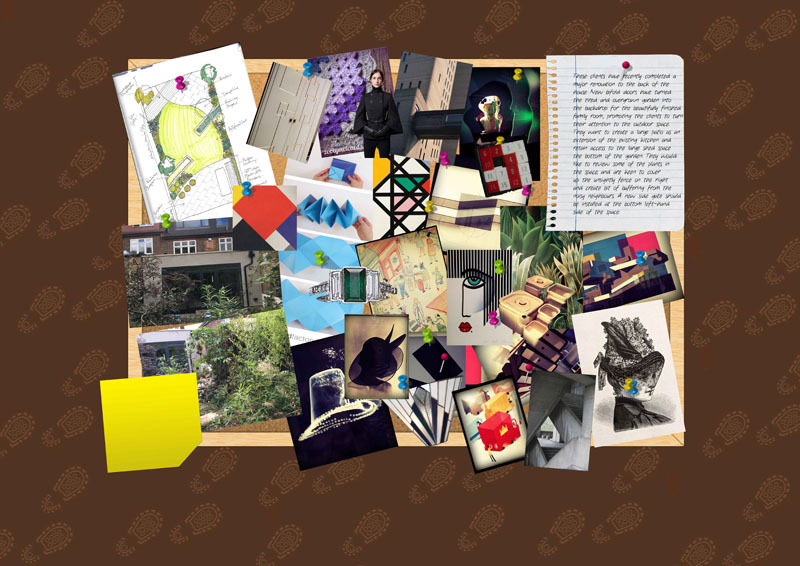 So naturally, they called upon Earth Designs to create the idea of a bigger garden in London. These clients have recently completed a major renovation to the back of the house. 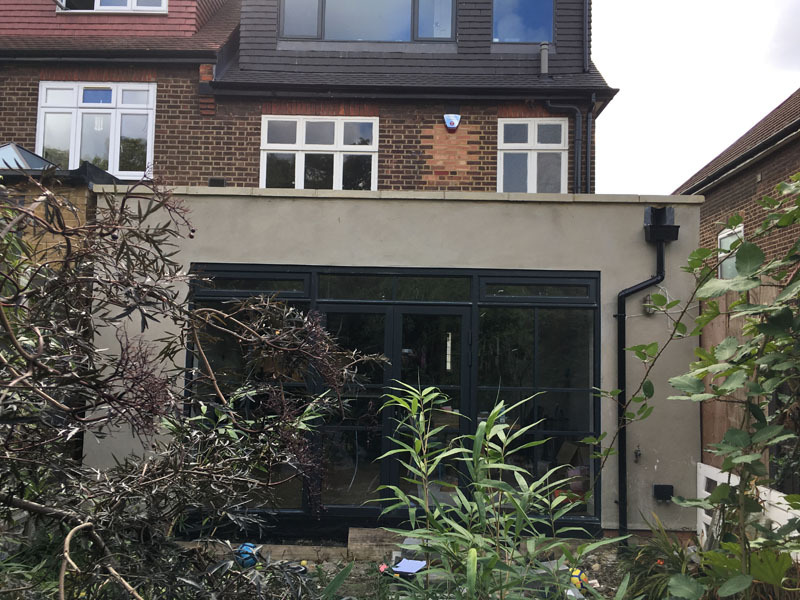 New bifold doors have turned the tired and overgrown garden into the backdrop for the beautifully finished family room, prompting the clients to turn their attention to the outdoor space. 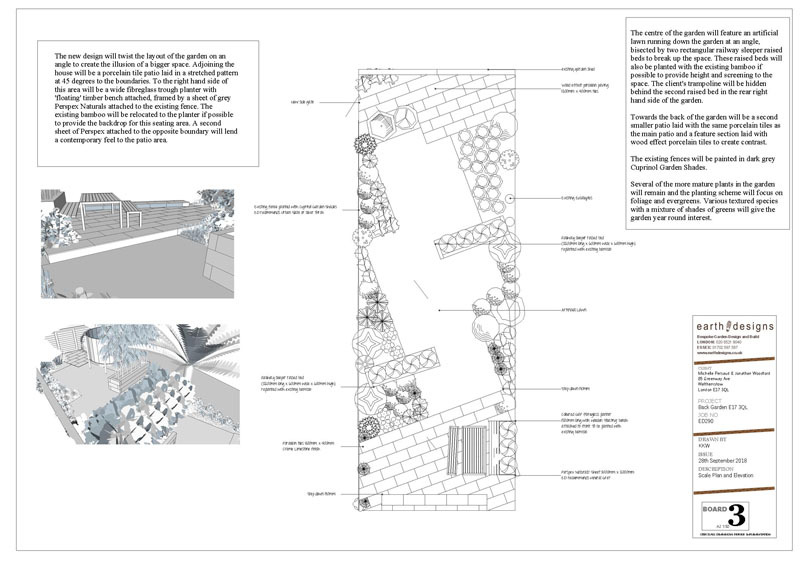 They want to create a large patio as an extension of the existing kitchen and retain access to the large shed space the bottom of the garden. 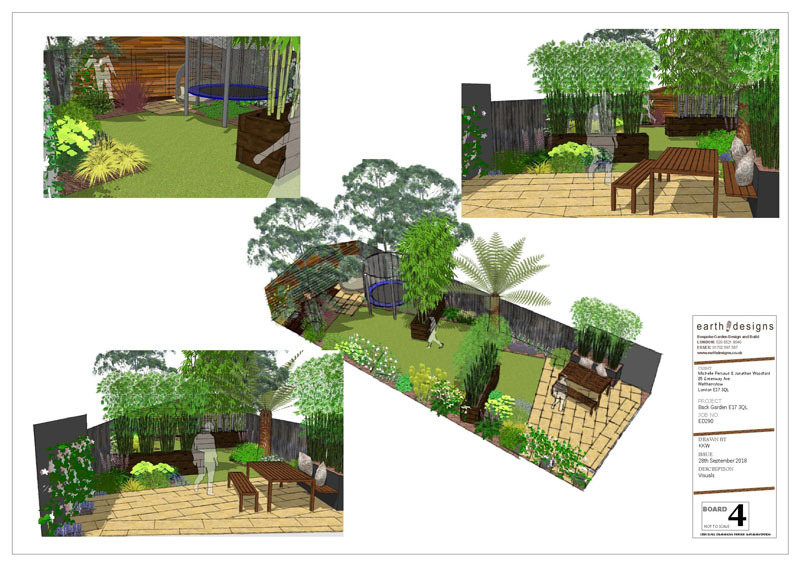 They would like to review some of the plants in the space, and are keen to cover up the unsightly fence on the right and create bit of buffering from the noisy neighbours. A new side gate should be installed at the bottom left-hand side of the space. 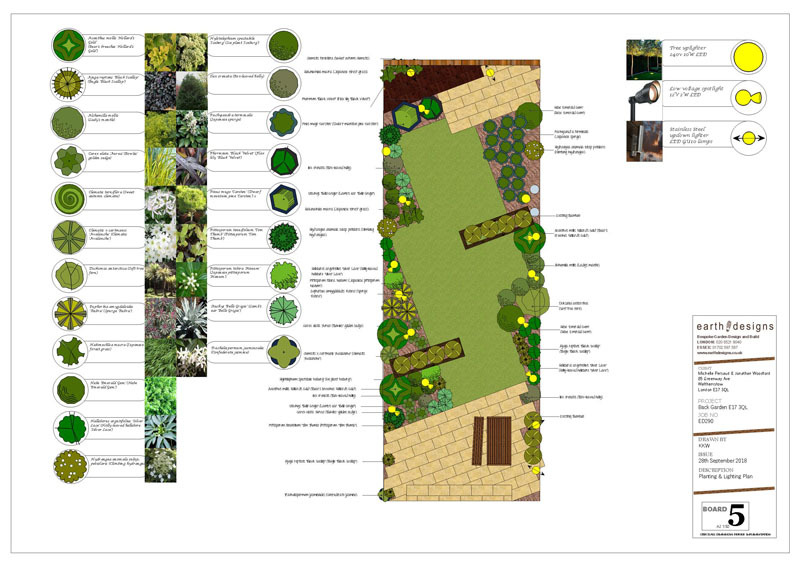 The new design will twist the layout of the garden on an angle to create the illusion of a bigger space. Adjoining the house will be a porcelain tile patio laid in a stretched pattern at 45 degrees to the boundaries. 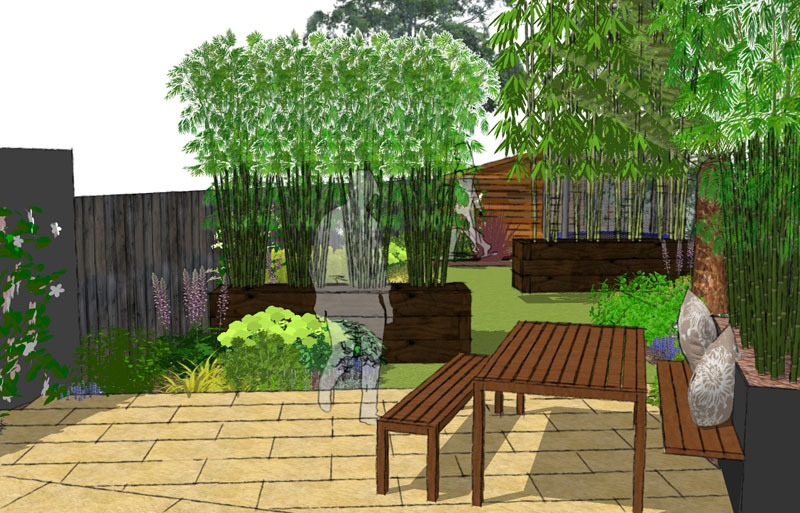 To the right hand side of this area will be a wide fibreglass trough planter with ‘floating’ timber bench attached, framed by a sheet of grey Perspex Naturals attached to the existing fence. The existing bamboo will be relocated to the planter if possible to provide the backdrop for this seating area. A second sheet of Perspex attached to the opposite boundary will lend a contemporary feel to the patio area. 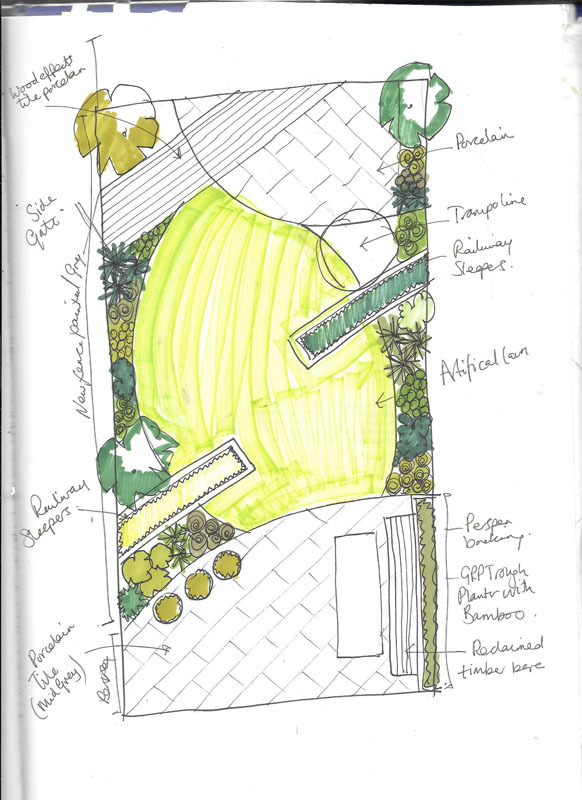 The centre of the garden will feature an artificial lawn running down the garden at an angle, bisected by two rectangular railway sleeper raised beds to break up the space. These raised beds will also be planted with the existing bamboo if possible to provide height and screening to the space. 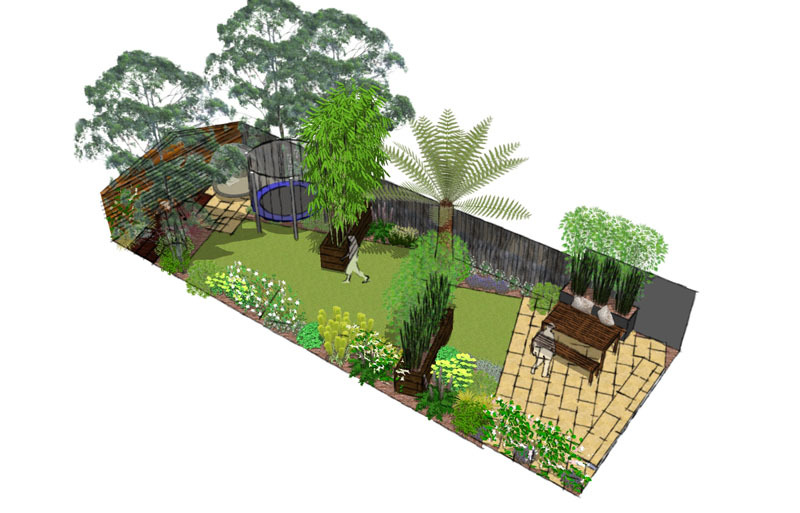 The client’s trampoline will be hidden behind the second raised bed in the rear right hand side of the garden. 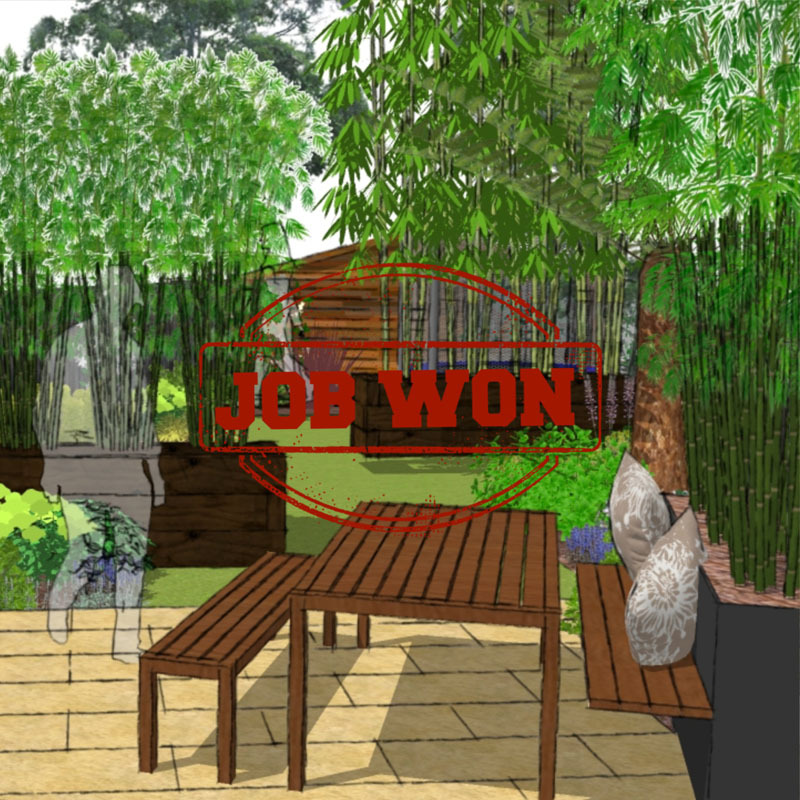 Towards the back of the garden will be a second smaller patio laid with the same porcelain tiles as the main patio and a feature section laid with wood effect porcelain tiles to create contrast. The existing fences will be painted in dark grey Cuprinol Garden Shades. Several of the more mature plants in the garden will remain and the planting scheme will focus on foliage and evergreens. Various textured species with a mixture of shades of greens will give the garden year round interest.